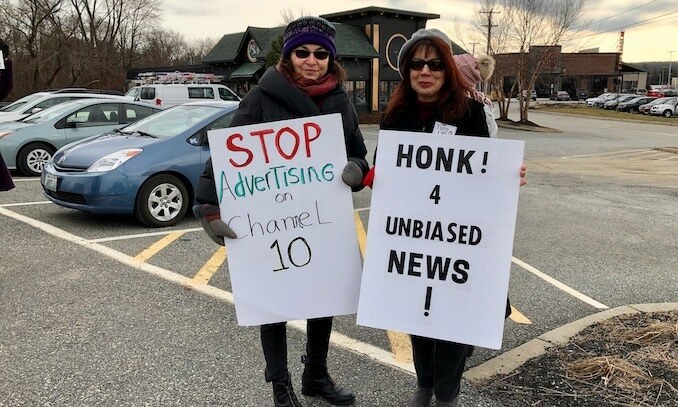 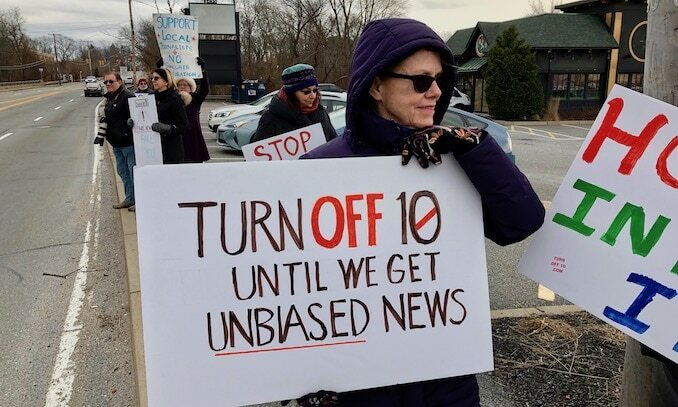 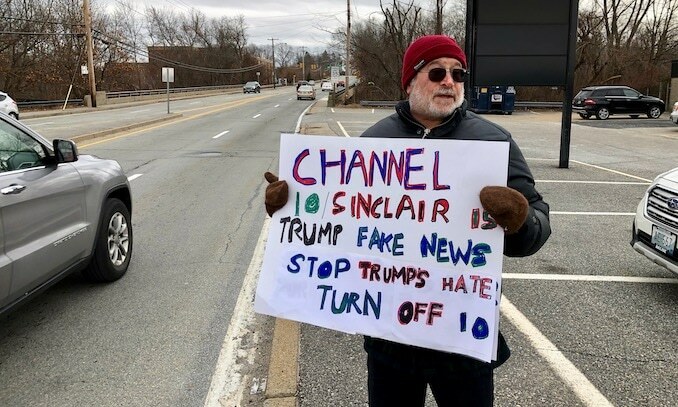 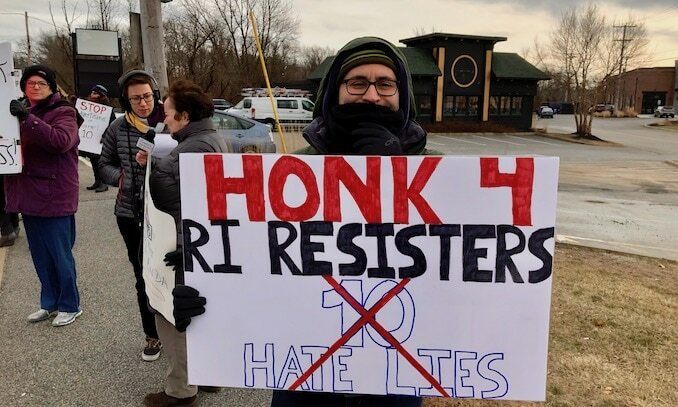 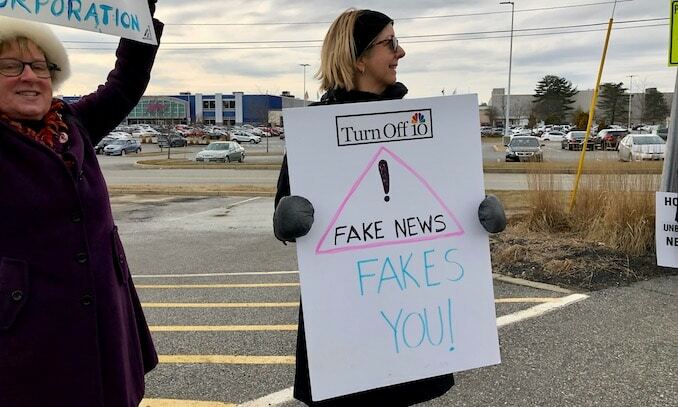 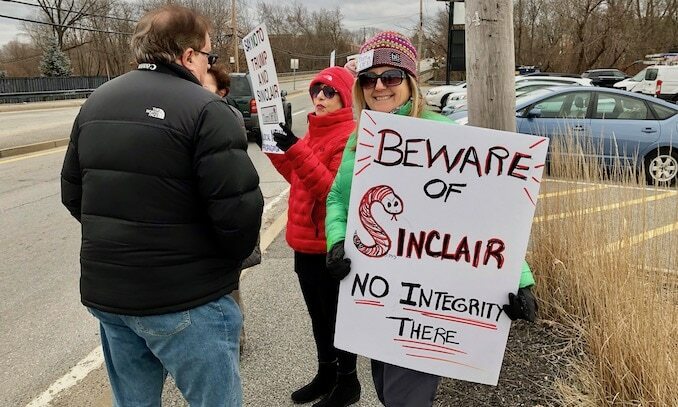 Turn Off 10, a campaign coordinated by the Rhode Island ReSisters, protested outside Warwick Mall on Saturday afternoon, to call attention to Sinclair Broadcast Group‘s continued ownership of local television station Channel 10/WJAR and the right-wing slant to their news that is mandated by the corporation. 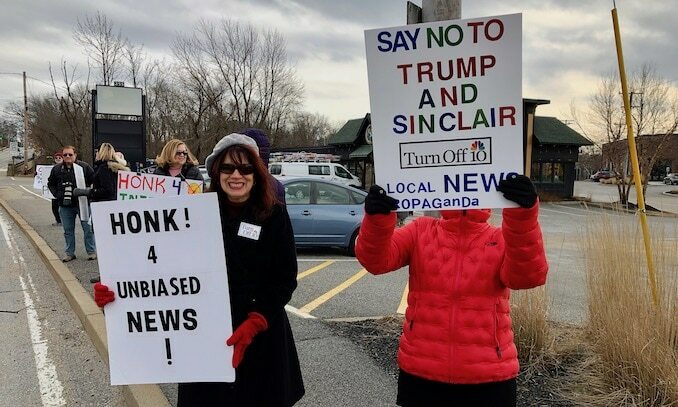 Sinclair Broadcast Group is an American telecommunications company. 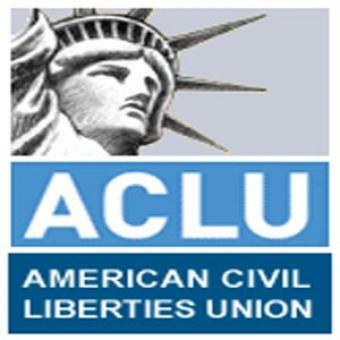 The company is the largest television station operator in the United States by number of stations and total coverage. 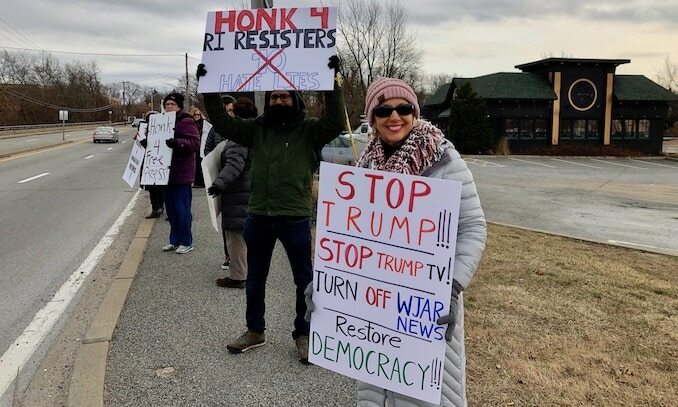 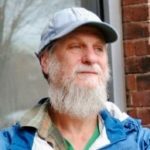 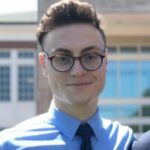 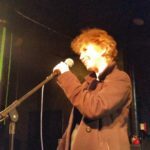 Since taking ownership of WJAR, Sinclair Media Group has mandated that WJAR include two minutes of right-wing or pro-Trump propaganda in local news broadcasts nine times a week. 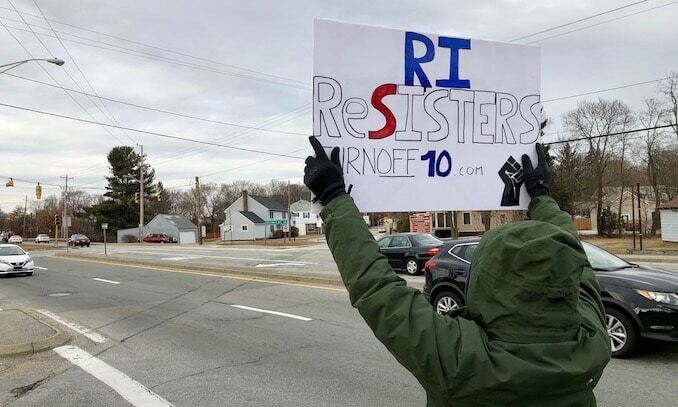 This protest is somewhat different from those conducted by Turn Off 10 in the past. 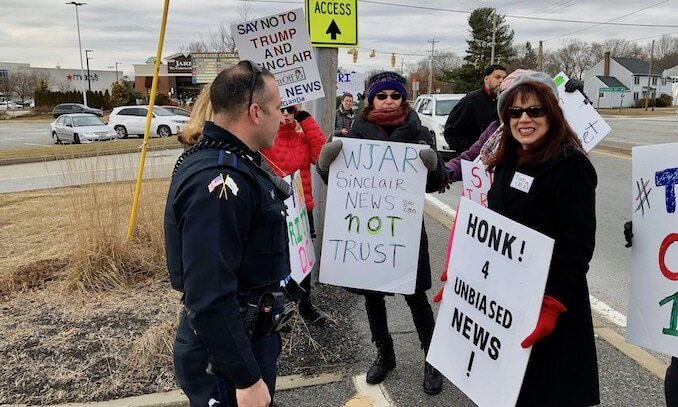 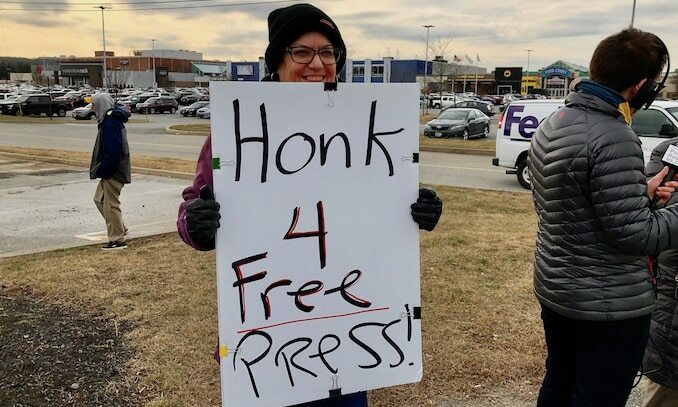 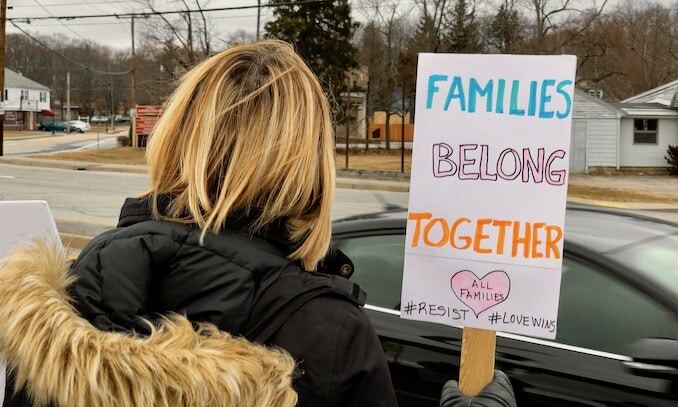 Scheduled on the second anniversary of the March Against Trump, the protest expanded to address more than just the issue of Sinclair, with signs signalling support for environmental and immigration concerns. 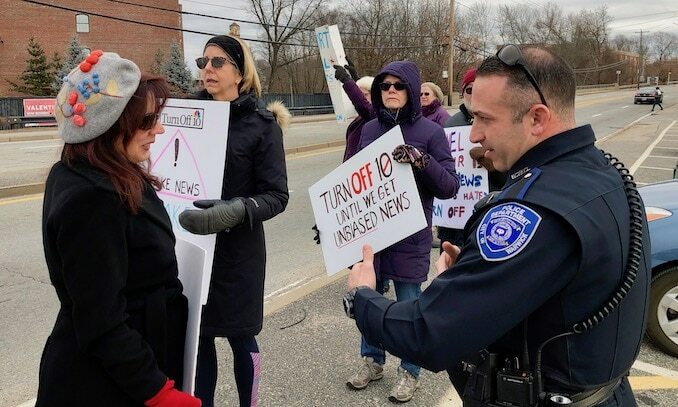 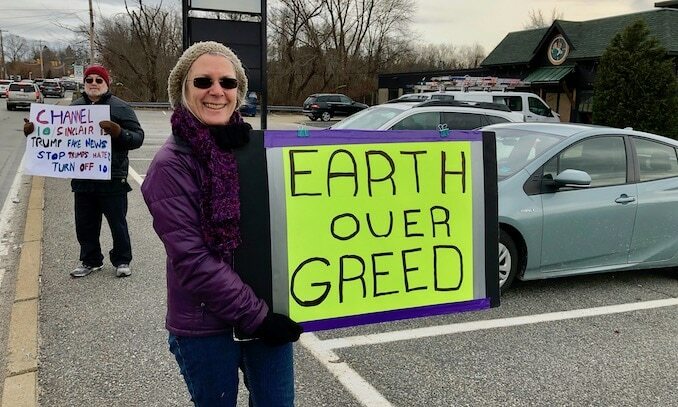 A Warwick Police Department officer arrived on the scene to warn protesters against standing in the street, due to traffic concerns, and also to not step on the private property of the Warwick Mall. 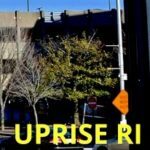 The officer left without incident.